I can’t believe how fast this year’s going either! 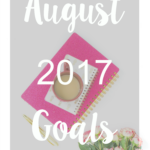 Getting ahead on blog content is def on my radar for this month too! You did very well with your goals, especially with everything that happened recently. My condolences. I hope you get things back on track in december. Good luck! Love these goals posts. It’s fun to read!! This is awesome! I, personally, am not a goal setter. I want to try to be lol I would probably set goals for my blogging if anything. Best wishes on your goals! I’m so glad you booked hair and makeup appointments for your engagement shoot! I wish I would have done that because my hair is a bit funky in mine (I did it myself) and it bothers me. I hope you have a lovely Christmas! I need to make my goals for Jan. Dec. is a hectic month, but only need to get 2 more gifts. Happy December Doll! 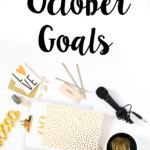 It sounds like you have a busy month planned but I know you can do all of these goals! I’m so behind on my Christmas shopping, too and feeling a bit panicked about it but i’ll get it all done. I’m just trying to enjoy the season. It’s finally cold here so that makes it feel a little more like Christmas and puts me in the spirit more. I love the Lipstick Gospel books! I can’t wait for you to start them, youll love them, I promise. They’re total life changers! Hope you have an amazing week, doll! Mistle, my thoughts are with you and your family during this grieving period. But I’m so impressed you were able to get all of these goals accomplished in spite of everything else you had going on! Thank You Corey for the sweet words! It has been a rough couple of months with the loss of my grandfather. 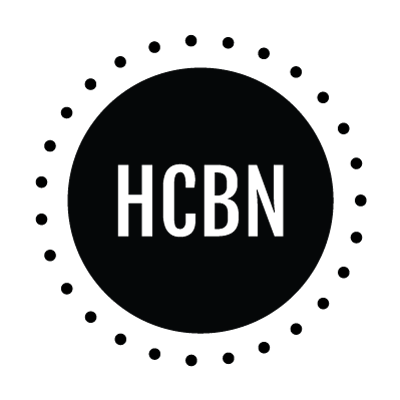 I stepped away from blogging until just recently and it was needed. Things have slowly gotten better but of course I miss my grandfather like crazy still. Thank You Lyne. December was a very busy month for me, so I tried to accomplish as much as I could in December. I’m sorry to hear about the passing of your grandfather. I do think this is a great time to just surround yourself by loved ones though so I hope you get lots of opportunities! Great job on everything you did accomplish in October though, and good luck with your December goals. I’m so behind on writing/scheduling out blog posts and I really want to work on that more – especially for the new year. Thank You Lauren. It’s been hard since my grandfathers passing but I am slowly getting there. Over these last few months I have spent lots of time with my family, which has been great. It was a good time to be able to step away from blogging and focus on life itself. I am happy to be back though! I hope that you have been able to get better with writing/scheduling your posts ahead of time. 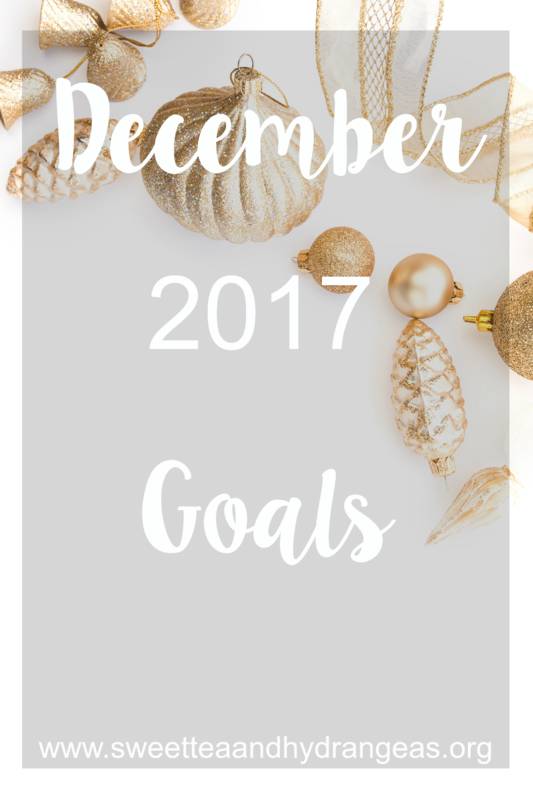 It’s always a good idea to set goals for yourself to stay on track with what you want to accomplish.Looks like you got a lot in store for yourself this December so hopefully you have the time to get everything done! Thanks for sharing, love the font in your image by the way! Stefan I agree that it’s great keeping track of your goals. 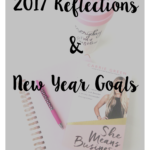 I had a very busy December in which I had to take a step back from blogging. So happy to be back. Thank You for the comment on loving my font on my image. You are crushing it!! Congrats on working with some brands and your wedding!! Thank You Ruthie! It has been very exciting to work with brands and plan my wedding. Now to get back into the swing of blogging again. 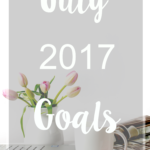 love the idea of sharing your goals for each month! Thank You Carly! I enjoy sharing my monthly goals. When is your wedding? How fun and exciting to plan it. Hope you find some much-needed relaxation after a rough month! Marette it is October 27th of this year. I have been having a good time planning it so far! Just trying to get the last few things checked off my list as quickly as possible. I am finally getting back into being able to relax more with everything that previously happened. I took a very long extended blogging break but am happy to be back. Yay I love all the wedding related stuff on this list. It’s always so fun! Good luck with your goals this month, girl. You’ve got this. It can be so fun and stressful planning a wedding. Congratulations!! Becca I agree!!! I am slowly getting things done for the wedding but I had planned so much when I first got engaged. Ready to have it all completed. Hope you enjoy your Christmas shopping this month! I was out last night doing some shopping and now I think I’m just about finished! 🙂 It’s so fun when you stumble across the perfect gift for someone! Thank You Rachel. I enjoyed Christmas shopping and was happy to get it over with. That’s awesome that you were able to find great gifts!! ohh so many exciting things coming up for the wedding!! Hope you have a great month! And happy holidays! Thank you Rachel. December was a big month with lots of wedding items being completed. Slowly getting more items checked off my list. 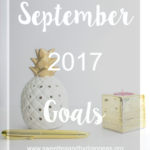 So many great goals for this month! Good luck with them. Hi Mistle, it’s great in the first place that you set intentions for your month. 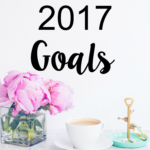 Plus, managing a blog and getting ready to get married that is a lot of work but I’m sure you got this! Best of luck! Hi Belinda! I love being able to set intentions each month to keep me on track. I recently took a blogging break in order to get a lot of wedding items complete and just because I needed a break. Blogging is a lot of work but a lot of fun as well. I’m so sorry about your grandparents! Good luck with your goals for this month. Thank You Alix!! I appreciate that. December was a crazy month but I did fairly well on my goals. Now to get back into blogging from my break. How exciting that you’re making such progress with your wedding planning! Thank You!! I am slowly checking things off my list. Just have a few more items to complete. Thank You Erin! I have been on a much needed blogging break over the last 5 months. 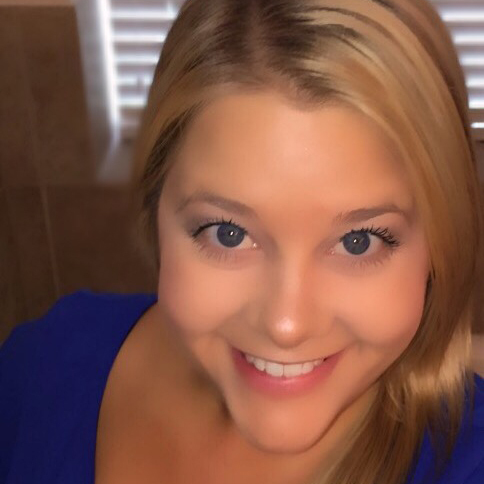 With everything that happened with my family at the time, holidays and planning my wedding, I needed a break. I am so glad to be back though! I am so sorry to hear about your dad. I hope that things have gotten easier for you in time. I’m so sorry to hear about your grandfather. I hope things continue to get better from here… despite everything, you’re still doing great as far as goals go! Thank You Sam! Things have gotten better over the last few months. I took a very long blogging break but it was much needed. I am very happy to be back! Love how detailed you are I need to organise myself a bit more. Great goals. Thank You Joan! I try to keep my goals as organized as I possibly can. Sometimes I obtain them and sometimes I don’t. I am just happy to be able to accomplish anything I set out to. Great goals. Here it is the 7th and I really have made any for myself. I need to get on that. Thank You Cyn!!! Hope you were able to accomplish your goals in December. So many wedding things happening, how exciting! 4/7 for November isn’t bad at all, especially when you take the holiday and such into consideration. Kim lots of wedding things happening. I have a few more items to check of my list now that life has calmed down some and I am back from my blogging break.